If you’ve ever waltzed into Target and bought the first pot and pan set you saw chillin’ on the shelf, you know being casual with your shopping for cookware is a huge mistake. Purchasing the wrong kind of cookware for you kitchen habits and cooking style can end in disaster — and tears. Not investing in the right cookware pieces is pretty much the equivalent lighting a wad of bills on fire with your new gas stovetop. 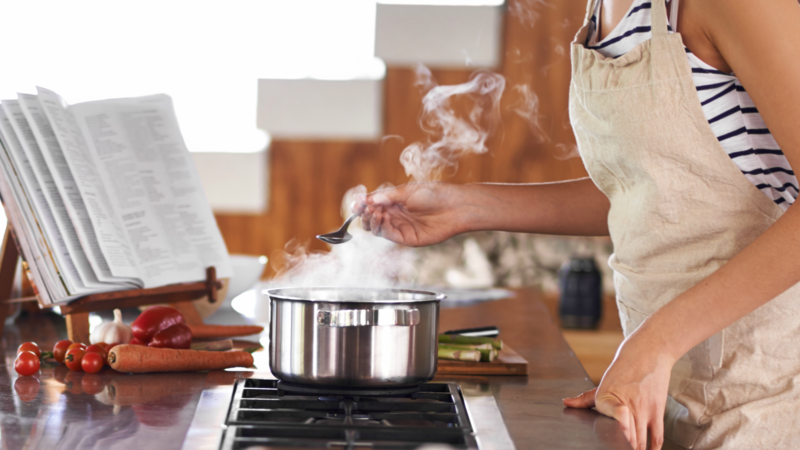 Before you buy, there are a few big decisions to make, like what kind of material you should be cooking with and why. Let’s weigh the pros and cons of each type of cookware, shall we? Anodized aluminum pots and pans are lightweight, resist denting and scratching, don’t rust and are excellent thermal conductors of heat (they’ll distribute heat evenly to cook food without hot spots). 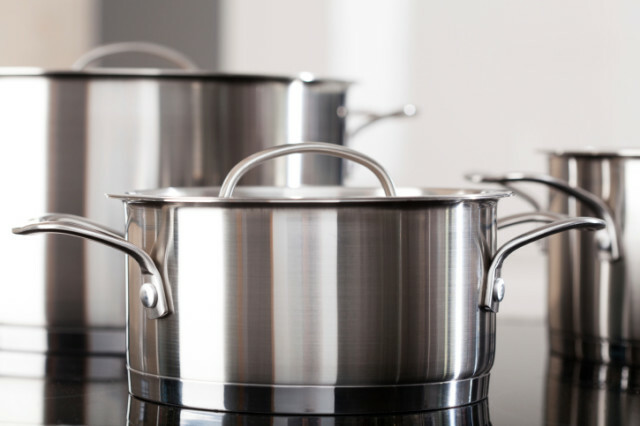 Approximately half of all cookware manufactured is made from aluminum, and it is often used to improve stainless steel. Raw aluminum (as opposed to anodized) is reactive to alkaline and acidic ingredients (tomatoes, leafy vegetables and citrus) and prone to warping and scratching. It can also discolor certain foods (such as white sauces). Fortunately most aluminum pots and pans are treated with a coating of aluminum oxide, which vastly improves the cooking properties. A properly seasoned cast-iron skillet is the not-so-secret weapon of many cooks. 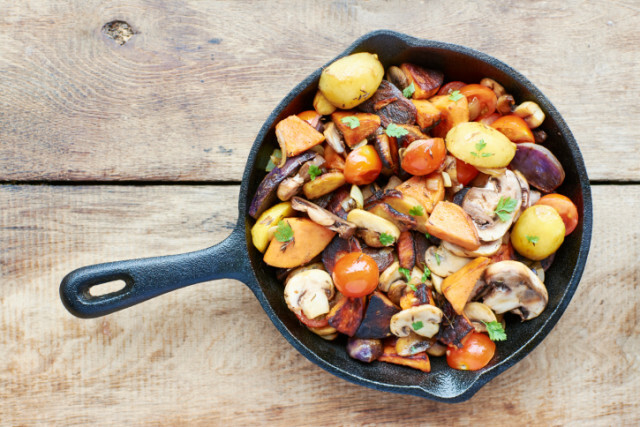 Great for simmering and browning, cast iron imbues years of flavor into every meal. It’s inexpensive, won’t warp, conducts heat very well and, if seasoned well, has a relatively nonstick surface. You can also easily go from stovetop to oven. Even though no kitchen is complete without a cast-iron skillet, it does have its drawbacks. It’s heavy, reactive, high-maintenance and not suited for all food. It also isn’t recommended for ceramic-glass cooktops. It’s worth noting that cast iron leaches — surprise — iron into your food. Many people consider this a benefit, but unexpected metal in the diet can be dangerous for certain people. Pots and pans made from ceramic are perhaps the most versatile cookware available in stores today. They can survive heat that would melt stainless steel (so oven-safe, unless you have one heck of an oven) but still can be used to store food in the refrigerator and freezer. And unlike metal cookware, they can be used in a microwave. 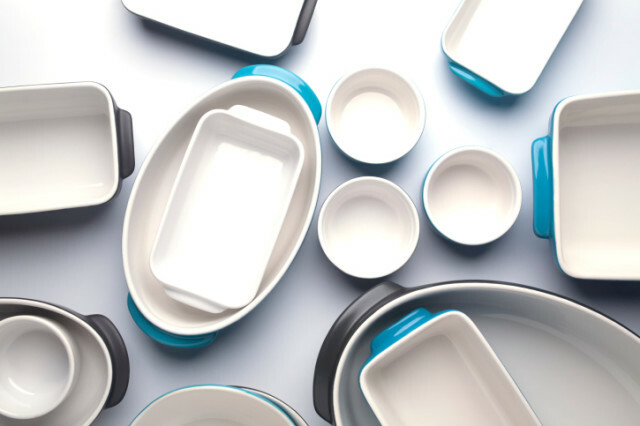 They are generally very easy to maintain with a naturally nonstick surface, but can take mild abrasives and scrubbing without marring their attractive gloss finish, which is important, since they also make attractive serving dishes. They’re widely considered to be the least reactive cookware available. Despite many superior cooking and aesthetic qualities, ceramic cookware also has some drawbacks. It can be heavy and cumbersome and will crack if dropped. It may also crack your tile floor. Older cookware made from ceramic and stone may contain lead. Additionally, cheaper ceramic cookware may discolor ceramic-glass cooktops at higher heat. Updated by Sarah Long 10/2/2017.